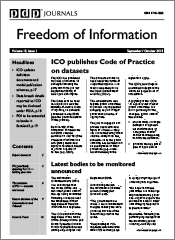 FOIMan celebrates Doctor Who‘s 50th anniversary with a post looking at the Doctor’s relationship with the Freedom of Information Act. “I never answer questions until I’m properly introduced” – The Second Doctor demonstrating his understanding of a valid FOI request. “Answers are easy. It’s asking the right questions which is hard.” – The Fourth Doctor, emphasising the importance of preparation when making an FOI request. “…we’re at the end of the universe! Right on the edge of knowledge itself, and you’re busy…blogging!” – The Tenth Doctor, who probably doesn’t read this blog. As the BBC celebrates 50 years of Doctor Who, I thought I’d take a look at how the Doctor has interacted with FOI over the last few years. The return of this iconic figure to British television in 2005 coincided with FOI coming into force. I’ve always thought that the Doctor would heartily approve of FOI given his instinctive curiosity and distrust of authority. 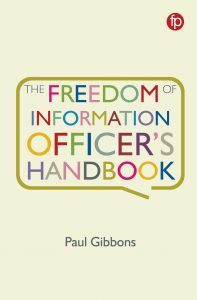 Bearing in mind the wide scope of the BBC’s FOI derogation (the BBC is listed in Schedule 1 of the Act as being an authority subject to the legislation, but only “in respect of information held for purposes other than those of journalism, art or literature” – the removal of those areas from FOI’s coverage is commonly referred to as the derogation), it is tempting to view this as “talent management” by the Corporation. It seems unlikely that an event so closely connected with the production of a television programme would be subject to FOI (whatever the rights and wrongs of that). But the scope of the derogation wasn’t entirely clear in 2008 (Sugar v BBC, the important case in this regard, only reaching the Supreme Court in 2012), so maybe those advising Mr Davies were just playing it safe. 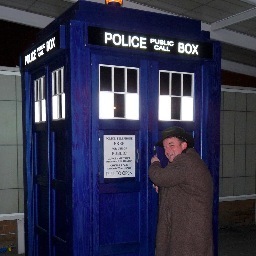 The Information Commissioner encountered our favourite Timelord in 2011 after Cardiff City Council refused a request for all correspondence held by the council regarding the programme. The case is a useful one as it illustrates how far public authorities are expected to go when searching for information requested under FOI. 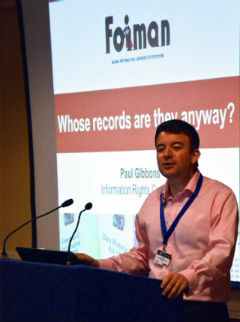 The council had refused the request as they argued that it would be necessary to ask staff in departments across the council to search their records for relevant information, and estimated that this would exceed the appropriate cost limit. The Commissioner dismissed this, as it became clear that there were a small number of departments that would be likely to hold such correspondence. What was required was a reasonable search. Even though there was an outside possibility that correspondence might be held elsewhere in the council, it was better for the council to search the most likely places and provide something, than for them to contemplate a comprehensive search that would mean nothing would be disclosed. The First Tier Tribunal (Information Rights) later upheld this decision. More recently, filming of part of the 50th Anniversary Doctor Who story, The Day of the Doctor, took place in Trafalgar Square. The Square is owned by the Greater London Authority (GLA), and the Doctor Who production team had to apply to them for permission to film there. Predictably, the related correspondence was requested from the GLA under FOI and is now published in their disclosure log. One writer proclaimed with some excitement that “City Hall publishes spoiler-ridden Doctor Who special correspondence”. In fact, the documentation doesn’t add anything much to what was already in the public domain at that stage (it’s hard to hide a 60 ton crane in the middle of Trafalgar Square, especially when it’s lifting a familiar blue box with an actor dangling underneath). Having overcome my nervousness that the disclosure might indeed spoil my viewing on Saturday night when The Day of the Doctor airs, I can reveal that it is though a fascinating insight into the preparations that go on behind the scenes for location filming of television dramas. I particularly like the fact that the application specifies that the characters meeting the Doctor in Trafalgar Square are “(all human)”. If you like Doctor Who, enjoy the celebrations this week. I understand some people don’t. But then, nobody’s perfect. A tardis might come in handy when deadlines loom?